Our first issue for the year is out! 24 pages featuring the following artists: François Belot (FR), Benjamin Bergman (FI), André D. Chapatte (CH), Robert Deutsch (DE), Christoffer Ellegaard (CH), Roope Eronen (FI), Janosch Feiertag (DE), Andreas Högberg (SE), Ville Kallio (FI), Ilknur Kocer (DE), Leo Kuikka (FI), Reijo Kärkkäinen (FI), Tiina Lehikoinen (FI), Tommi Musturi (FI), Boris Pramatarov (BE), Heikki Rönkkö (FI), Kari Sihvonen (FI). Tuomas Tiainen (FI) & Mikko Väyrynen (FI). Cover by Lauri Mäkimurto. Edited by Heikki Rönkkö. Layout by Pauliina Mäkelä. Edition of 5 000 pcs. 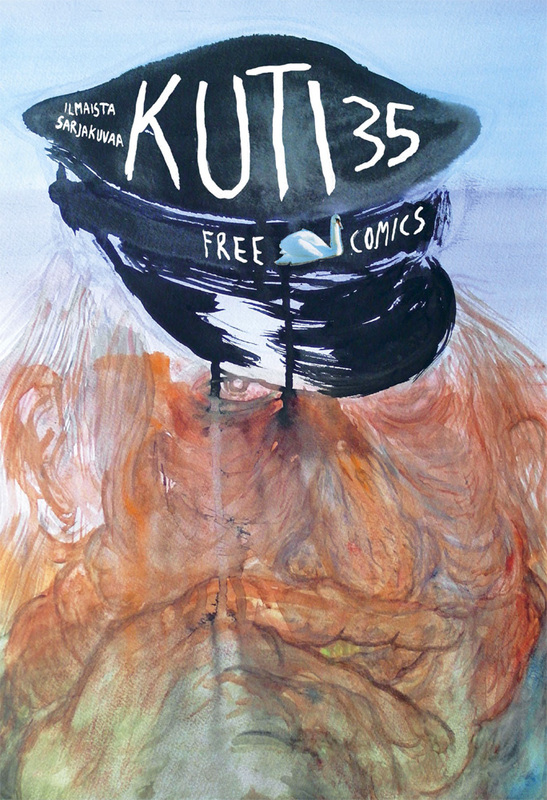 Though KUTI is a free magazine, you can as well subscribe it. Indeed we’re pretty dependent on our subscribers to keep the paper going. So don’t hesitate but subscribe it here!